Jordan Jordanov. 28° International Festival Month of Photography, Bratislava, Slovakia. 1 - 30 novembre 2018, a cura di Nadezhda Pavlova. 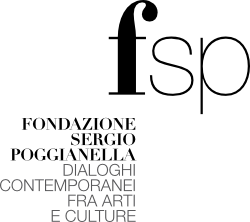 The event is supported by the Foundation Sergio Poggianella, Italy, which has lent seventy rare photographs of the artist. Jordan Jordanov has preferred to intensify his research in Mongolia and Albania, but also on places in Bulgaria, in fact even more hidden and inaccessible, such as prisons and mental hospitals, where alienation is produced and cultivated. Photos by Jordan Jordanov are found in the collections of the photographic section of the National Library of Paris, the Zango Gallery in Munich, the Tokyo Institute of Technology, the Musée de l'Elysée in Lausanne, the Museum of Fine Arts in Houston, USA, Sofia National Art Gallery, galleries and private collections in Italy, Bulgaria and others. 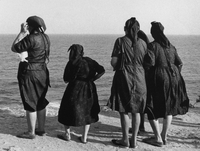 Participations: gold medal in Münster (1970), Gold Medal of the Bulgarian Biennial of Photography in Sofia (1983), Grand Prize of the Biennial of Photography in Sofia, Bulgaria (1987); his photographic projects were financed by the Swiss Pro Helvetia Foundation - Bulgarian Prisons (1994), current Albania (1995) and Mongolia (1998).